From clerical, call centre, healthcare, foodservice and retail to accounting, IT, legal and finance, job skill requirements vary widely by position. 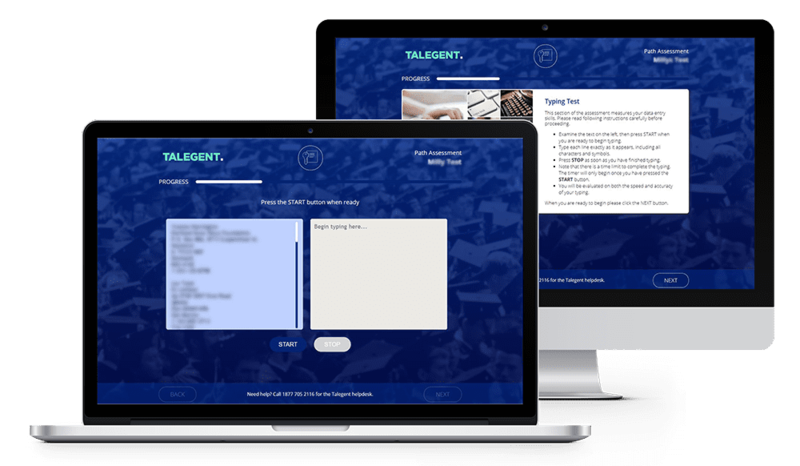 Talegent Skills Assessments offer a data set of over 300 hands-on job skills to meet your specific needs. Using our PATH platform, you can quickly and easily configure your own custom candidate skills test session to screen small groups or thousands – and get back advanced reporting and analysis.